Welcome to St Louis Limo Rentals and Party Bus Services! Our remarkable fleet of town cars, limousines, SUV's and party buses are unmatched in their level of style , elegance and comfort. We have been providing over 3 decades of luxury transportation service to the Greater St Louis Area. When you require a limo rental St Louis locals can count on then be sure to give our all star team a call first. STL Limo chauffeurs are fully certified, vigorously screened and professionally trained to give customers the most exceptional limo services in St. Louis, Edwardsville, Ferguson, St Charles, Chesterfield, Belleville, Arnold, Alton and surrounding areas in Missouri. For the best limousine St. Louis has to offer hire us to provide you with an outstanding experience. Our goal is to serve our clients with stylish and reliable transportation. For the best party bus St Louis experience, complete the online form on this page and party with us on a whole new level. 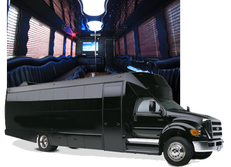 St Louis Limo Bus Rentals is one of the most reliable party bus rental services available. Our top rated corporate car rental service has provided high quality transportation facilities to clients for many years! We are pleased to hear that our clients feel relaxed about their luxury car experience. Our expert team is qualified and will always provide first class level of service. We ensure that you reach your destination on time every time. We have a large selection of luxury vehicles that you can hire for making special occasions memorable. Our goal is to make your journey as stress free and comfortable as possible. We have a St Louis limo service airport goers depend on to be on time. ​Our top-rated limousine company specializes in providing our clients with an ultimate experience. Below is a list of just some of the luxury car services that we provide at competitive St Louis limo service rates for everyone. At St. Louis Limos we provide our clients with not only the best private car service, but also one of the best party bus services as well. This way, our customers always get the perfect vehicle for any occasion while arriving at the appropriate time to their events. Our team is made up of the most professional drivers who have been adequately trained to give clients a unique and enjoyable ride. They are there to contribute to the passengers needs and deliver a seamless experience which is all standard in our St Louis limo prices. In order to hire a limousine or party bus in St Louis, MO it is essential to find a reliable service to reach your final destination. We offer top quality packages at affordable pricing for limousine and party bus services in St. Louis, MO for many occasions. Whether it's a St Louis wedding limo, bachelor party or corporate event our chauffeur services can be customized to your liking. We provide a limousine service St. Louis locals can depend on. At the end of the day there are no other limo companies in St. Louis that provide clients with an equivalent level of quality service that we do. We take great pride in giving clients an exquisite limo service at competitive prices. The quality of our private cars and party bus services in St. Louis are designed in accordance to meet the specific needs of our clients. If you're looking for a party bus rental St Louis residents can trust then you're in the right place. Our St Louis party bus company makes an elaborate effort to satisfy every clients wishes by providing a superior quality riding experience.